There are many kinds of injuries that people may experience that affect mobility and overall wellness. At Gary A. Zucker & Associates, P.C. in Brooklyn, we have helped numerous people with spinal cord injury lawsuits to collect damages and compensation after a serious accident. Let's consider what kinds of damages are sought for major spinal cord injuries. Serious but relatively minor injuries include damage to the muscles, nerves, and soft tissues around the back, which can be very painful and render a person somewhat limited in terms of mobility for days or even weeks. Ruptured discs can also be quite painful, as can damage to individual vertebrae, which can require more involved or invasive therapies to address. Paraplegia - Loss of use and sensation in the lower extremities. This is the result of severe damage to the spinal cord along the lower portion to middle of the spine. Quadriplegia - Loss of use and sensation in all of the extremities. This is the result of severe damage to the spinal cord along the upper portion of the spine, particularly the neck area. 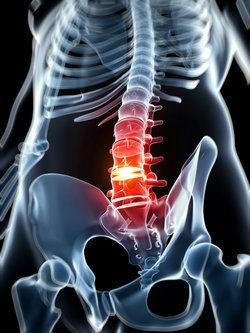 Medical care to address the back injury immediately and to address the long-term effects of the spinal cord damage can be very expensive. When negligence leads to a spinal cord problem, our team believes the negligent party should be held accountable. Many times spinal cord injuries occur in major vehicle accidents and other sorts of incidents in which a person's property may be damaged. Damages will be sought to cover the cost of the damaged property and goods. When someone suffers from a serious spinal cord injury, it can impact future earnings and end a person's career trajectory. This is especially the case with paraplegia and quadriplegia, which can cut many promising professional careers short. Damages will definitely be sought if a person's ability to work is harmed by the spinal cord injury. Not only will your career opportunities be altered, but so will your lifestyle and living situation. You will need to adjust to life in a wheelchair, receiving assistance from loved ones, and even changing your home or apartment to address your long-term disability. These sorts of matters should definitely be covered by the negligent party. Physical rehabilitation, ongoing checkups, medical monitoring, and breathing machines are necessary for victims who've experienced paralysis. The victims of a serious injury and their loved ones should not have to bear these costs on their own when the accident was not their fault. As you can imagine, the emotional and psychological strain on an accident victim and the loved ones of the victim can be great. This is why damages are sought to account for emotional pain and suffering associated with a serious spinal cord injury. For more information about all of your legal options with regard to serious spinal cord injuries, it's important that you contact our personal injury and wrongful death attorneys today. At Gary A. Zucker & Associates, P.C., we will make sure that you receive ample help and counsel when it comes to your legal options.